Recently there is much news about Dr Wong Yip Chong, a former prominent psychiatrist in Singapore. It is about the case of his 2 sons suing his partner Ms Ling over a 7 million house in Chancery Lane,S'pore. DR Wong is 82 and now suffering from the dreaded Alzheimer’s disease Click here to read more. I used to work in IMH ( formerly called Woodbridge Hospital ) with Dr Wong. He was a respected psychiatrist even in those days where I was from 1964 till 1967 as a nursing staff. I still remember other prominent psychiatrists like Dr Ngui and Dr Tsoi. They are probably in their 80's now. 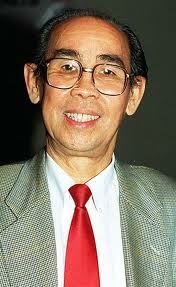 It is sad to hear Dr Wong is suffering from Alzheimer's disease. It is a dreaded disease and is a form of Dementia. Dementia is a loss of brain function that occurs with certain diseases. Alzheimer's disease (AD), is one form of dementia that gradually gets worse over time. It affects memory, thinking, and behavior. I hope and pray that the case of his 2 sons and his partner Ms Ling be settled amicably. Also, I pray that Dr wong against all odds recovers from his sickness. BT, isn't it sad that his family members are fighting when he is still alive when their 1st priority should be taking care of him. His mistress has been with him for 30 years. Although she is the other woman, she must have provided him a source of comfort and companionship all these years. BT: This world is all about money lor...agreed his other woman must have been a great source of comfort to him all these 30 years. Is it true his sons are taking care of him? Why not his mistress? Do the sons have the legal right or to put the other way round does his mistress NOT have the legal custody of Dr. Wong? Ironical isn't it that a psychiatrist can also suffer from dementia and Alzheimer's disease? aiya any1 aso can suffer from any sickness la....all men and women must die but only ONE rose from the dead la and i know who that ONE is. BT, I've worked with both Dr. Wong & Ms. Ling. Both were good employers & I object to the words "mistress" or "the other woman" when referring to Ms. Ling as these words also most often implies that that person is automatically labelled a "gold digger". Ms. Ling is Dr. Wong's partner & she has taken care of Dr. Wong all these years & has worked hard & contributed much to the success of Adam Road Hospital. The law should be fair -she should be given joint ownership of the house at the very least! Ok Ok thanks for pointing the "mistress"and "other woman" stuff...well you should know better cos u have worked under Ms Ling and I have not. I will now refer and change the reference to her as Ms Ling and Dr Wong's partner. Ms Ling won the case in court according to today's Straits Times. The 2 sons were ordered to pay cost and kena scolding by the judge. Adam Angel why was there no obituary in the newspapers? family wanna save money is it? Thanks Adam Angel I have read about it in today's ST.
Who was taking care of Dr just before he died? I heard Ms Ling did not want Dr in her house because he was too difficult to care for,is it correct? Hi Anonymous, not true that Ms Ling did not want doc in her house. She even renovated her house so that doc need not climb the stairs. He died in hospital. So sweet of Ms Ling...may Dr Wong RIP. We would say the two sons are "even worse than beasts" in Chinese idiom. Should listen and appreciate the lyric in HK singer Sam Hui's song "parental grace"
The 5th commandment, "thou shall honour thy father and thy mother"
If I remember correctly, Dr Nagu should be 75 now. He is still a practising psychiatrist and continue to offer his help to NUS students. Yes, he is well respected by all, including former MM and MM's daughter Dr Lee. Yes Dr Nagu was there at Woodbridge too as a young psychiatrist.